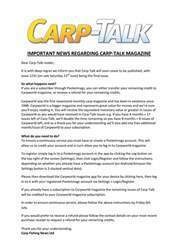 This week’s issue of Carp-Talk (issue 1047) is available to download now. The highlight of this week’s catches is undoubtedly Bernie Loftus’s capture of the Parrot at 64½lb from the Wasing Estate, coming during the same week he also had the venue’s Big Common at 46lb 14oz. 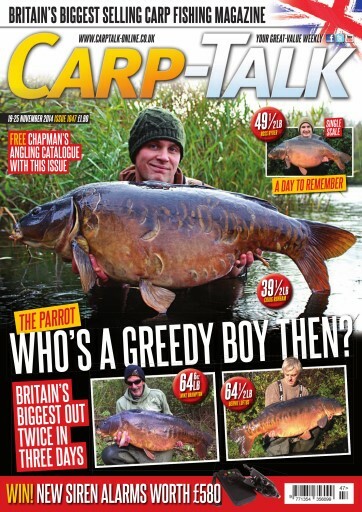 Paul Monkman interviews Simon Crow about his new book, The Adventures of a Carp Angler, which is due for release this Friday. Rob Hughes is mostly limited to winter fishing these days, but he has been making light of the situation, and Team Korda has some invaluable advice about maggot fishing this autumn. 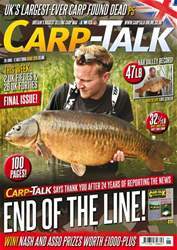 Ian Russell reflects on a recent trip to Abbey Lakes in France, Haydn Hoskins insists that now is the time to be out chasing carp, and products from Trakker, Cygnet, ESP, Fox and Atomic go under the spotlight in Trade Talk. 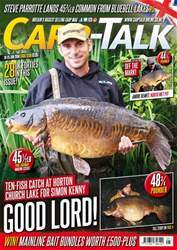 The Fox-Mainline Carp Angler of the Year competition continues, and we have £580-plus worth of Nash Sirens R3 alarms to give away.